I ventured off to the park near my apartment the other day. It was a beautiful day and after I recovered from my horrible night of high blood sugar, I wanted to enjoy what was left of the day. I packed my bag with an iPod, towel, banana, a book and diabetes supplies and headed there with full intentions on relaxing. 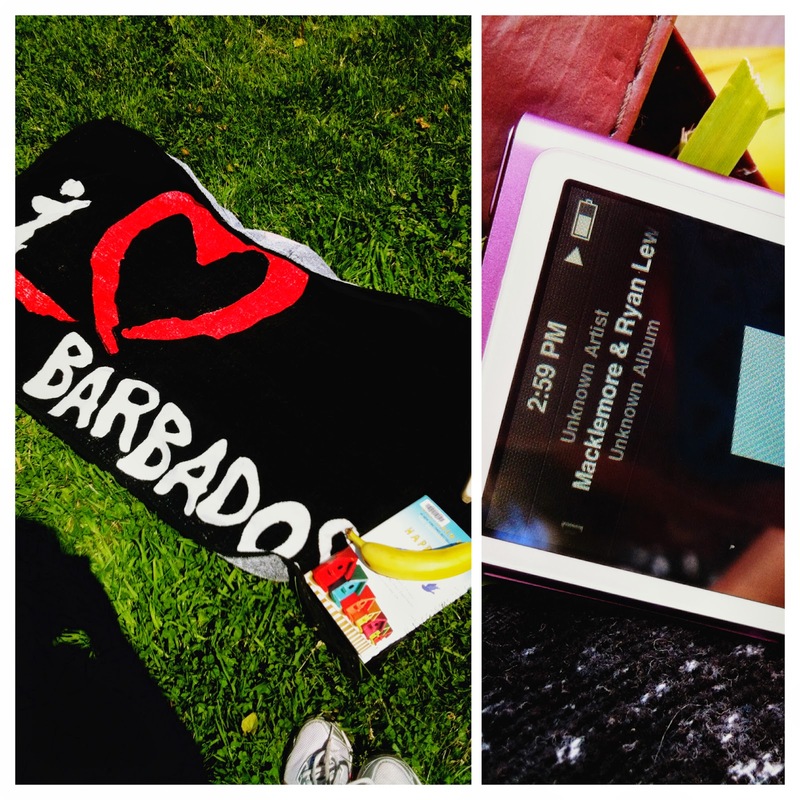 Nothing disrupted this plan, I found a perfect spot on the grass, laid down my I love Barbados towel, sunscreen, my iPod l, a banana and a good book, 'Happier at Home' by Gretchen Rubin. As I was lying there, families having BBQ's around me, people tossing a football back and forth, even a loose balloon flying around me, I felt so good! I felt so relaxed and couldn't help but wonder, 'Why haven't I done this before?!" I have been in London for six years, and I have been an independent person since what, eighteen. I could have at anytime taken a moment or two to appreciate what is around me, enjoy time and specifically enjoy time alone. I laid on the towel, book in hand, sun beaming down and took the time to appreciate what I do have and what makes me happy. I don't like complaining about diabetes or the chores of daily life; however, sometimes it is nice to take time for yourself and allow yourself to be alone to reflect on the day rather than gossip about it to friends (which, I must admit feels good too!) But, being alone provides something different. I have spent a lot of time alone, as I am living alone, and it has truly given me time to figure out what I want, I can hear my own voice and I am starting to realize how important it is to know yourself and most importantly love yourself. I don't think this can be achieved when you're surrounded by people, clutter, or noise.